When the Millennium Boom came crashing to a halt, Wall Street made enormous profits by betting against the housing market in anticipation of its inevitable downfall. 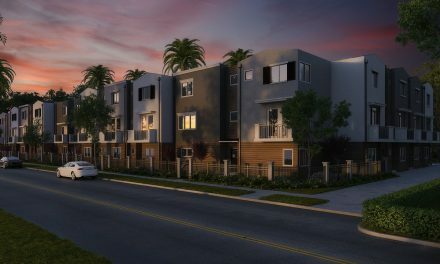 Now, as low-income homebuyers struggle to qualify for conventional mortgages in the post-Boom economy, investment firms like Goldman Sachs are wagering on homebuyers using alternative seller financing. Land sales contracts, also called contracts for sale and known in other states as contracts for deeds, are gaining steam in the housing market. 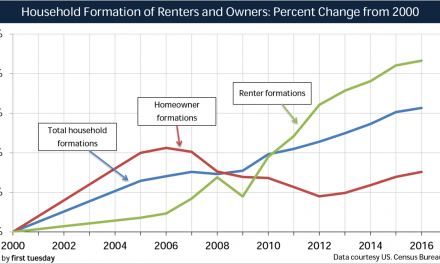 In its latest incarnation, investors are purchasing homes in bulk and selling them to low-income homebuyers. The sales are structured as a land sales contract in which the low-income buyer is given equitable ownership and possession of the property. However, title does not actually pass to the buyer by grant deed until the buyer pays the seller in full under the terms of the agreement. The transactions have proven lucrative for investors. By offering creative financing, low-income buyers avoid the need for conventional financing, for which they may not otherwise qualify. But this isn’t simple charity. 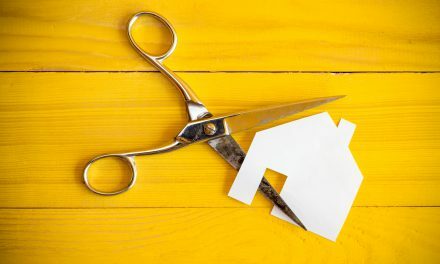 Low-income homebuyers are ultimately on the losing end since these exploitative agreements are marred by unscrupulous terms that leave homebuyers with little recourse in the event of default. Land sales contracts were frequently used from the late 1960s to the late 1970s as the preferred method for avoiding due-on enforcement by mortgage holders, and have since been largely considered obsolete — until little schemes such as the above make a return appearance. Land sales contracts are now popular in neighborhoods where homes sell for below $100,000 (i.e., a price range that is attractive to low-income buyers). This is increasing the case in the wake of the housing market crash that left homes rundown and abandoned after foreclosures. For low-income buyers who do not qualify for conventional mortgage financing, these lower-priced properties provide a more feasible route to homeownership. But they also provide an opportunity for alternative seller financing transactions that can disproportionately benefit the investor/seller at the buyer’s expense. In a land sales contract, a buyer and seller enter into an agreement for the sale of a property. The buyer takes possession of the property and makes installment payments to the seller according to the terms of the agreement — typically without a formal escrow, title insurance or full disclosures of property conditions. Further, title does not formally pass hands until the buyer pays the seller in full, which may take several years. During the intervening years, the investor/seller becomes a creditor — though not a lender as there is no borrowing of funds — and collects the sales amount from the buyer in increments with added interest. Why are these agreements so appealing to investors? Land sales contracts mask the existence of a sale as they are not recorded, often resulting in the seller treating the transaction as a lease and avoiding buyer protections typically included in a sale, such as full disclosure of the material facts affecting the property. includes an arbitration provision that severely limits the buyer’s legal rights — though this is not used for these contracts in California. Additionally, payment amounts for land sales contracts are often elevated with high, atypical interest rates to provide large windfalls to the seller. As a result, buyers frequently fall behind on payments. Thus, despite sizable payments made towards the purchase price of a property — which may have undisclosed material defects — buyers under dubious land sales contracts are being evicted as tenants and, unless contested in court, losing their built-up equity when they default. Some courts have treated the defaulting buyer as an owner/mortgagor entitled to the reinstatement rights of mortgage and trust deed law. Other courts have viewed the buyer’s default as a forfeiture, converting the buyer into a tenant who ultimately faces eviction. Without a legal consensus, entering into a land sales contract is a risky venture, particularly for an unsavvy buyer who is unaware of the mechanics of these types of contracts and the obligations it does (and does not) impose on the transaction participants. Nonetheless, the complexities and varying treatment by the court make land sales contract a dangerous transaction for homebuyers. The exploitation of lower-income homebuyers through land sales contracts hasn’t gone unnoticed by federal watchdogs. The Consumer Financial Protection Bureau (CFPB) reportedly assigned enforcement lawyers to investigate land sales contracts for potential violation of the federal Truth in Lending Act (TILA). However, the CFPB has yet to make an official statement about the rise in land sales contracts or how the regulatory agency intends to prevent homebuyers from falling victim to these predatory agreements. The elusive nature of land sales contracts as unrecorded transactions makes investigating the trend challenging. Regulators will need to scrutinize the terms of the agreements used by investment companies in bulk — much like New York regulators have done recently. Editor’s note — See RPI’s Land Sales Contract – All-Inclusive with Power of Sale. This form is used by an agent when a buyer is acquiring equitable ownership of property under a land sales contract, to prepare a land sales contract stating the price with terms of payment and the conditions for the seller to convey title. Intervention in California is still awaiting the CFPB’s next move and action from California regulators to step in to monitor the market more closely for unscrupulous seller financing schemes.